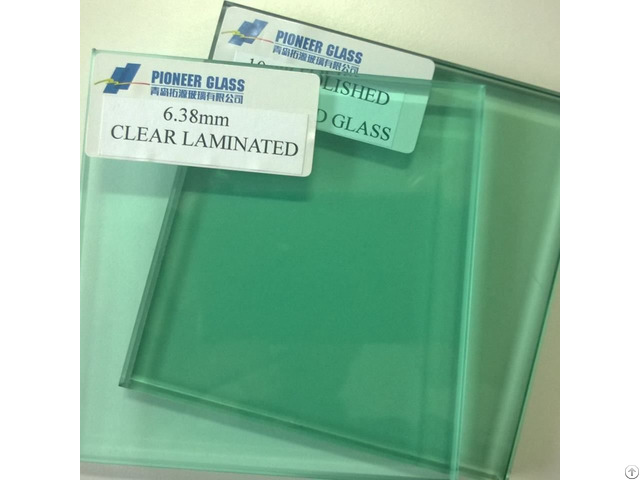 Laminated glass 3+3, 4+4, 5+5, 6+6, 8+8.etc. Our regular size is 3300X2134mm, 3300X 2440mm, 3660X2134mm, 3660X 2440mm, or according to your requirement. Our products can be widely applied to Curtain Wall, Partition Wall, Balusters, Door & Window, Shower Room, Awnings, daylight Roof, Staircase, Counters, Interior Decoration, Hotels, Banks, Airports, Furniture, Military Facilities and other industries and fields. Posted By: Qingdao Pioneer Glass Co.,Ltd. Business Description: We are MANUFACTURER of high quality glass with competitive price !Such as Laminated glass, tempered glass, insulating glass ,glass mirror, decorative safety glass, special glass etc.